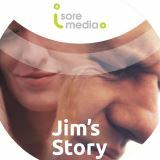 Jim’s story is an issue-based film concerning the dangers of relationships in treatment. It is the first in a series of films about addiction and recovery through treatment. Here is the trailer for Jim’s Story. Due for premier in late March/early April 2013.